HDA TEAM : Hugh Dutton, Gaëtan Kohler (Project Leader 1), Pier Luigi Bucci (Project Leader 2), Mitsu Edwards (Project Leader 3), Asaka Reiser. 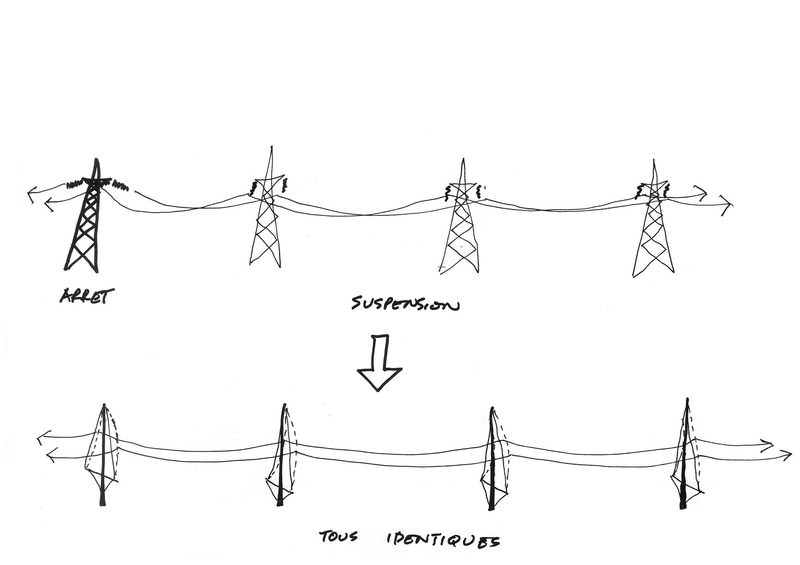 In the current context of heated debate about the impact of high-tension lines in the public domain, RTE, the French electricity transport network, held a competition for a new line in the north of France. The selection process was notable for an unusual degree of public participation, the casting vote being made by local interest groups. 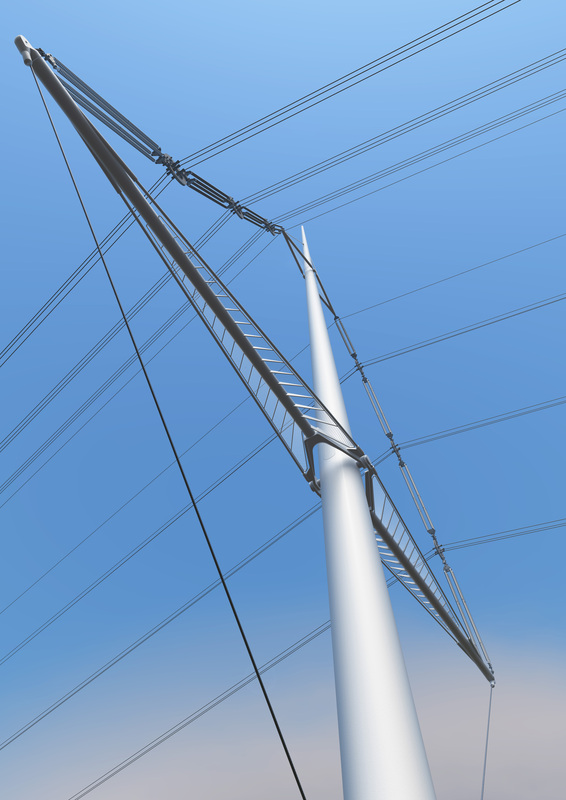 Following on from HDA’s success for the Italian «Terna» pylons, the team formed with HDA, Gritech and Project, high-tension electricity specialists, was designated the winner of the contest. 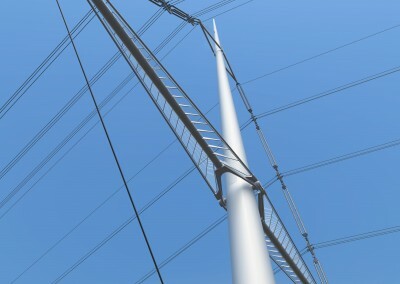 The Equilibre design retains a similar concept to the Terna pylon in terms of non-linear tension support, but adopts a boat-mast configuration that is more appropriate to the French regulatory context. 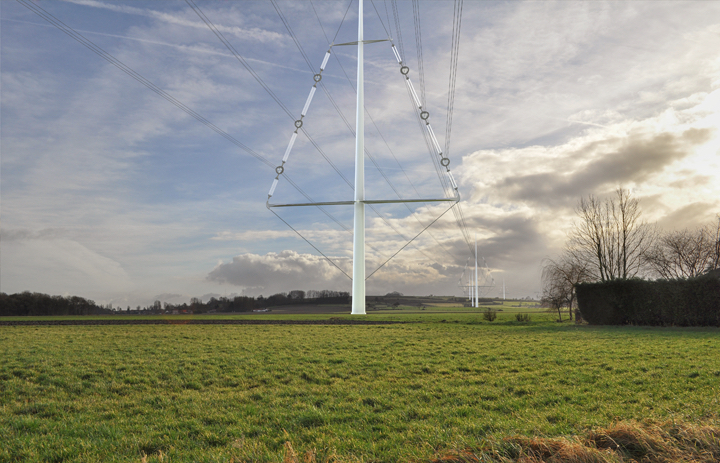 From a distance, only the central steel mast of the pylon is visible. This strong and finely-detailed icon in the flat surrounding landscape stands as a proud memory of the successful steel industry in the region.